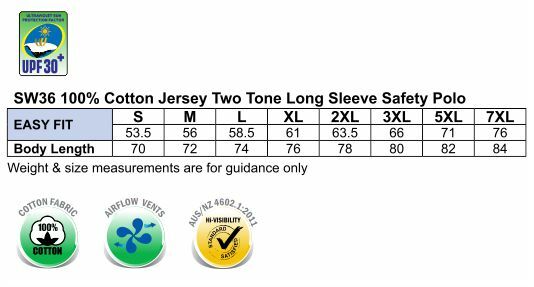 Cotton Jersey 200gsm - 100% Cotton Jersey. Two tone safety polo with contrast stripes on collar. Under arm mesh ventilation. Left hand chest pocket with pen partition. Conforms to 4602.1:2011 Class D. Contrast collar and lower front.